The eight in a series of looks ahead at WCU 2012 football opponents. Elon's second year head coach Jason Swepson enters the 2012 season hoping to improve on last year's 5-6 record. The Phoenix return 17 starters, 7 on offense, 7 on defense and 3 on special teams. Leading the way for the Phoenix will be senior wide receiver Aaron Mellette, who may possibly be the the SoCon's top receivers. Mellette enters the season as an All-America selection, finished fifth in last year's Walter Payton Award voting. He led the nation in both receptions per game (10.3) and receiving yards per game (149) in 2011. The Phoenix also will return senior Thomas Wilson at quarterback. The Phoenix offensive attack will rely heavily on the passing game. While Wilson passed for for 3,057 yards and 23 touchdowns last season, he also threw 21 interceptions. Swepson's biggest question mark will be the rushing game, Karl Bostick, a sophomore transfer from Akron will most likely carry the bulk of the running attack. Defensively, the Phoenix, like the Catamounts must improve against the run. Elon, again like the Catamounts will have one of the youngest rosters in the conference, with a lot of underclassmen that will need to step up their play. The Mark Speir era opened with a win. The 42-14 season opening victory over Division II Mars Hill, was the largest margin of victory for the Cats since they defeated Shorter College, 35-0, back in 2008. The Shorter win was ironically the debut game for then first-year head coach Dennis Wagner. True freshman quarterback Troy Mitchell became the third freshman to start at quarterback for the Cats since 1992, joining Chad Greene and Brandon Pechloff as rookies who earned the starting job. The Cats forced four turnovers against Mars Hill during the game, three of the turnovers were fumbles and one was an interception. Senior Rock Williams, junior Courtland Carson and redshirt junior De'Von Richardson recovered the fumbles, while redshirt sophomore Ace Clark came up with the season's first interception and his first pick of his collegiate career. The Western Carolina Cross Country teams begin their 2012 season Friday by hosting the Western Carolina Invitational at the Catamount Athletic Complex. Seven teams in addition to WCU will participate in the Invitational, including the University of Florida, Charlotte, UNC-Asheville, Winthrop, Gardner-Webb, North Greenville and Warren Wilson. ESPN's BracketBuster returns to the Ramsey Center as part of the 2012-13 Western Carolina men's basketball schedule released by Western Carolina head coach Larry Hunter. The 31-game 2012-13 men's basketball schedule, includes road trips to Tennessee, Georgetown, Illinois and the Cancun Challenge in Cancun, Mexico. "We have assembled another top-notch and challenging schedule for our players and fans," said Hunter "The start of the year should be as exciting as any we have had in recent years. We need our students, faculty, season ticket holders, alumni and supporters to quickly get fired up about basketball because our rivalry game with UNC Asheville (Nov. 9) and home-opener two days later tip-off our season." 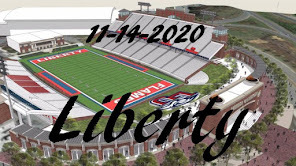 He added, "This is a schedule that will afford our team room for growth and development as we prepare for the rigors of the Southern Conference season." True freshman Troy Mitchell will be under center to start the season for the Catamounts in the opening game. Thursday at 8 pm in Cullowhee. The 6-foot, 200-pound dual threat quarterback from Mobile, Alabama has battled Sullivan during the fall practice for the starting position. It's now 1 day until kickoff of Catamount football at Western Carolina's E.J. Whitmire Stadium. The Catamounts open the season on Thursday, August 30, 2012 against Mars Hill College. 2011 (Junior): Played in all 11 games making nine starts including the first five of the season and the final three games of the year ... Finished tied for 10th on the team with a career-best 32 tackles including 21 solo stops and 1.5 tackles for loss - all coming against Furman ... Ranked second on the squad with four pass break-ups ... Made his first collegiate interception against The Citadel, returning the pick 16 yards ... Finished with a career-high seven tackles against nationally-ranked Wofford ... Recorded an interception in WCU's annual Spring Game. 2010 (Sophomore): Played in all 11 games including five appearances in the starting lineup ... Made his first collegiate start at Chattanooga, finishing with a then career-high four tackles including three solo stops ... Recorded 17 tackles on the season including 11 unassisted stops with one pass break-up coming against Samford ... Posted at least one tackle in nine of the 11 games on the season. 2009 (Freshman): Saw action in eight games, predominantly on special teams ... Missed the final three games of the season with a shoulder injury ... Finished with three total tackles including one solo stop and two assisted hits ... Posted a then career-best two tackles in the season-opener at SEC-foe, Vanderbilt. Prior to Western: Played both quarterback and defensive back as a senior for Cartersville HS and head coach Frank Barden ... Rushed for 188 yards and four touchdowns, adding four catches for 121 yards and a pair of TDs on offense during his prep career ... Also completed 21-of-39 pass attempts in his final season for 275 yards and two TD passes ... Tallied 61 total tackles including a pair of sacks and five interceptions on defense for Cartersville HS. Personal: Full name is Elijer Rashid Martinez ... Is the son of Jose Martinez and Deffie Lawrence ... Has three younger siblings; Denario, Rayven and Crystal. 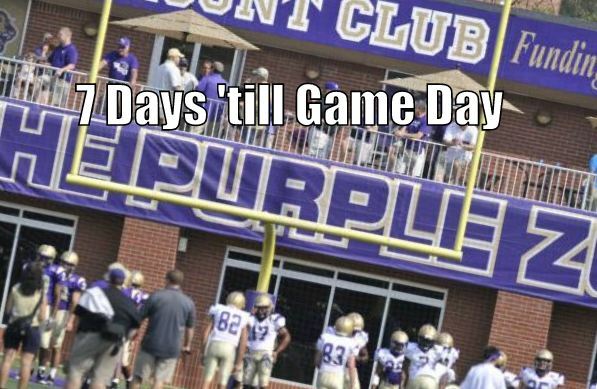 2 Days.. will you be in Cullowhee? It's now 2 days until kickoff of Catamount football at Western Carolina's E.J. Whitmire Stadium. The Catamounts open the season on Thursday, August 30, 2012 against Mars Hill College. 2011 (Junior): Saw action in all 11 games including four starts at wide receiver, again seeing time as the kickoff returner ... Hauled in a career-high 26 passes - tied for fourth on the team - for 335 yards and three touchdowns ... Amassed 1,037 yards on 38 kickoff returns including returning one 99 yards for a TD to start the second half against Furman ... Averaged 27.3 yards per kickoff return to rank third in the Southern Conference ... Finished fourth in the league in all-purpose yards, averaging 128.2 yards per game ... Was twice named the squad's special teams player of the week ... Named the SoCon Special Teams Player of the Week on Oct. 3, tallying 183 yards on just four kickoff returns including the one for a score ... Also garnered a National Kickoff Returner of the Week honor from the College Football Performance Awards (CFPA) ... Added four rushes on end-around plays for 17 yards gained ... Suffered a dislocated knee, tearing the major cruciate ligaments in his left knee in late November following the season ... Underwent surgery to repair the damage in December, missing spring drills and is expected to miss the 2012 season. 2010 (Sophomore): Suffered a broken fibula in his left leg during 2010 spring practice that sidelined him throughout the season ... Took a medical redshirt for the missed season ... Was cleared to return to spring practice in the spring of 2011, catching a pair of scoring strikes as a part of six catches for 42 yards in the short scrimmage segment of the team's final spring practice. 2009 (Freshman): Played in all 11 games making four starts as a wide receiver while also serving as the primary kickoff and punt returner ... As a wideout, caught 14 passes for 124 yards, an average of nearly nine yards per reception ... Added 14 rushes for 94 yards - third on the team - with a long of 21 yards ... Led WCU with 37 kick returns for 771 yards, adding six punt returns for 37 yards ... Ranked fourth in the Southern Conference in kick return average with his long of 41 ranking third in the league ... Additionally, was eighth in the SoCon in all-purpose yards at 92.8 yds/gm, surpassing the 100 all-purpose yard plateau six times ... Made his first career reception in the season-opener at SEC-foe, Vanderbilt ... Sat out during 2010 annual spring drills. 2008: Joined the Western Carolina football team as a walk-on during spring drills and will hold freshman standing in the fall of 2009 ... Hauled in three passes for 17 yards and rushed three times (mostly end arounds) for 89 yards and a touchdown in WCU's annual Spring Game. It's now 3 days until kickoff of Catamount football at Western Carolina's E.J. Whitmire Stadium. The Catamounts open the season on Thursday, August 30, 2012 against Mars Hill College. 2011 (Redshirt Sophomore): Saw action in eight of WCU's 11 games on the season, making seven appearances among the starting lineup at wide receiver ... Missed two games at mid-season against Chattanooga and The Citadel with a high ankle sprain and was also held out of the season-finale against Coastal Carolina ... Finished with a team-high 35 catches for a team-leading 459 yards, averaging 57.4 yards per game ... Had a catch in each game he saw action including four-or-more in six of those outings ... Returned seven punts for 41 yards, finishing with 5-4 all-purpose yards on the season ... Named the team's offensive player of the week after the Georgia Tech game, making six catches for 64 yards ... Scored his only touchdown of the season in the home win over Mars Hill, a 46-yards pitch-and-catch in the second quarter ... Hauled in a season-high eight passes for 143 yards against nationally-ranked Georgia Southern ... Caught three passes for 51 yards in WCU's annual Spring Game. 2010 (Redshirt Freshman): Played in nine games on the season including eight starts at wide receiver ... Started his first-ever game for WCU at NC State ... Missed a pair of games due to illness early in the season ... Named to the Southern Conference All-Freshman team by the league's head coaches ... Led the team in receiving yards with 524 on 32 catches, the second-most on the team, averaging 16.4 yards per catch and a team-best 58.2 receiving yards per game which ranked seventh in the SoCon and tops among league freshmen ... Had at least one catch in all 11 games played ... Had at least one catch in all 11 games played ... Named the team's offensive player of the week three times and special teams player of the week once during the season ... Hauled in a pair of touchdown catches ... Finished with 589 all-purpose yards to rank fourth on the team, averaging 65.4 yards per game ... Selected SoCon Freshman of the Week on Oct. 25 after hauling in a career-high nine passes for a career-best 151 yards against top-ranked Appalachian State ... Was additionally mentioned in the College Football Performance Awards (CFPA) weekly top performers at wide receiver after the ASU game ... Returned eight punts for a team-best 60 yards including a long of 18 yards against Samford ... Caught three passes for 22 yards in the short scrimmage segment of the team's final spring practice. Prior to Western: Transferred to Western Carolina from Central Michigan ... Did not see game action with the Chippewas ... In the 2010 WCU Spring Game, caught three passes for 11 yards. High School: Collected All-First Coast second team honors from the Florida Times-Union ... Named to the Florida Times-Union Super 24 and was an All-District 3-5A first team selection ... All-Gateway Conference second team ... Caught 14 touchdown passes as a senior ... Named team's Offensive Player of the Year in 2008 ... Selected to play in the North-South Shrine Bowl ... Helped lead his high school team to four straight district titles and four straight playoff berths. Personal: Is the son of Jerome and Jackie Alexander ... Has three siblings; Shante Daye, Christopher Daye and Darius Alexander ... Was born in Savannah, Ga. It's now 4 days until kickoff of Catamount football at Western Carolina's E.J. Whitmire Stadium. The Catamounts open the season on Thursday, August 30, 2012 against Mars Hill College. 2011 (Junior): Played in 10 of WCU's 11 games, making three starts at wide receiver ... Finished with 26 catches - tied for fourth on the team - for 388 yards which ranked second on the squad ... Scored three receiving touchdowns including a career-long 75-yard TD catch against Mars Hill ... Ranked tied for fifth on the team with 18 points on the year ... Eclipsed the 100-yard receiving mark on just three catches against Mars Hill, tallying 105 yards ... Recorded a career-high 144 yards receiving on a season-high seven catches against nationally-ranked Wofford ... Was named the team's offensive player of the week after his outing against the Terriers ... Rushed three times for eight yards ... Added 10 total tackles on the year including four solo stops, most coming on special teams ... Caught four passes for 74 yards in WCU's annual Spring Game. 2010 (Sophomore): Started at wide receiver in 10 of the 11 games he played on the season ... Led the Catamounts with 39 catches for 441 yards and a team-best five touchdown receptions ... Averaged 40.1 yards receiving per game ... Recorded at least one reception in all 11 games ... Caught a career-high eight passes for 116 yards and a TD against Tusculum ... Recorded a pair of touchdown catches against Chattanooga, earning the team's offensive MVP honor ... Posted five total tackles on the year including two solo stops ... Also played baseball during the spring of 2010, appearing in three games as a freshman on the diamond ... In two official at bats, recorded a pair RBI with a ground out that scored a run and a sacrifice fly in the season-opener against Morehead State. 2009 (Freshman): Played in all 11 games, starting twice at a wide out position ... Ranked fourth on the team with 20 receptions for 158 yards, the third-most on the squad ... Posted receptions in all but one game played on the season ... Averaged 7.9 yards per reception on the year with a long catch of 17 yards ... Hauled in a then career-high four catches twice - at Eastern Kentucky and at Chattanooga ... Had four receptions for 32 yards at UTC ... Also recorded three tackles on special teams ... Made three catches for 26 yards in WCU's annual Spring Game. Prior to Western: Was a three-year varsity letter winner at Southwest Dekalb HS for head coach Buck Goffery ... Listed as a two-star prospect by Rivals.com ... Finished his prep career with 59 catches for 825 yards and 12 touchdowns in a run-oriented offensive system ... Posted a career-best 30 catches for 500 yards and nine scores as a senior captain, earning first team all-conference and All-Dekalb County accolades ... Was a four-year Honor Roll student ... Also played basketball and baseball, garnering All-County accolades his junior season in the latter. Personal: Full name is Jacoby Shenard Mitchell ... Is the son of Desmond Parks and Kisten Mitchell ... Has two siblings; brother, Eric, and sister Desmenique ... Has two cousins who played collegiate athletics - David Allen played football at Georgia Tech and Eddie Rush, Jr., played baseball at Marshall. Gary Ayers returns for his 27th season in 2012, as the Voice of the Catamounts. CSN welcomes back Steve White, as he returns to the airwaves after a four year absense. Along with White, Jeff Bryson will be in the booth and Greg McLamb patrolling the sidelines. Steve White retired from Western in 1998, but stayed active on the Catamount Sports Network until 2007. Jeff Bryson serves as CSN's producer, and in-booth host of the pregame, halftime, and post-game shows. Greg McLamb will report from the sidelines for the fifth season, after joining the CSN crew in 2007. WWCU-FM, Power 90dot5 - Cullowhee, N.C.
540 AM WRGC - Sylva, N.C.
920 AM WPTL - Canton, N.C.
970 AM WYSE - Canton, N.C.
1050 AM WFSC - Franklin, N.C.
1150 AM WAVO - Charlotte, N.C. / Rock Hill, S.C.
1310 AM WISE - Asheville, N.C.
1600 AM WTZQ - Hendersonville, N.C. It's now 5 days until kickoff of Catamount football at Western Carolina's E.J. Whitmire Stadium. The Catamounts open the season on Thursday, August 30, 2012 against Mars Hill College. 2011 (Junior): Played in seven games with five starts in the offensive backfield, missing the first two and last two games due to injury ... Was sidelined with a shoulder injury that kept him out of the first two games of the season while a knee injury ended his season two games early ... Finished with 274 yards on 88 carries, averaging 3.1 yards per carry and 39.1 yards per game ... Scored two rushing touchdowns, both coming against top-ranked Georgia Southern ... Rushed a season-high 21 times against Elon ... Added five catches out of the backfield for 31 yards, tallying 305 all-purpose yards ... Rushed for 89 yards on 12 attempts with a touchdown in WCU's annual Spring Game. 2010 (Sophomore): Played in all 11 games, starting in the backfield nine times ... Led the team with 611 yards rushing on 151 attempts on the season, averaging 55.5 yards per game on the ground ... Rushed for a team-high five touchdowns, ranking tied for second on the team in scoring with 30 points ... Hauled in six passes for 39 yards ... Finished with 650 all-purpose yards to rank second on the team ... Eclipsed his single-game career-high for rushing with 117 yards on 14 carries against Samford which included a career-long rush of 41 yards ... Tallied a career-best 129 all-purpose yards against the Bulldogs ... Twice earned the team's offensive MVP award including after the Samford game and again at Wofford after rushing for 69 yards and a TD. 2009 (Freshman): Started nine of the 11 games in which he saw action ... Named the 2009 Southern Conference Freshman of the Year by both the league's head coaches and the voting members of the SoCon Sports Media Association ... Was additionally selected to the SoCon All-Freshman team ... Was twice named SoCon Freshman of the Week after both of his two, 100-yard rushing performances during the regular season which came against No. 6 Elon and No. 6 Appalachian State two weeks later ... Rushed for a then career-high 116 yards against Elon representing the only opposing rusher to top the century mark against Elon, which boasted the nation's fourth-toughest run defense at the time of the game and finished the regular season second in the NCAA FCS in total defense and ninth against the run ... Ran the ball a career-high 24 times at ASU ... Finished as the top freshman rusher in the conference - ninth overall - compiling 568 yards and four TDs, adding 25 receptions for 137 yards out of the backfield on the year ... Rushed for two of his four seasonal scores at home against Wofford, which included the first points of his career on a one-yard plunge early in the second quarter ... Missed the 2010 Spring Drills and annual Spring Game due to injury. Prior to Western: Rushed for 335 yards and four touchdowns in five games before having his senior season cut short after suffering a broken leg in practice ... Was listed on the Atlanta Journal-Constitution's top 150 rankings of high school prospects and was listed as a two-star prospect by Rivals.com ... Averaged over seven yards per carry and scored five touchdowns while splitting carries out of the backfield as a junior ... Also ran track & field and wrestled in high school. Personal: Full name is Michael Davaun Johnson ... Is the son of Michael Johnson and Maranda Knox. Western Carolina Athletics plans for their first-ever "Catamount Legacy All Sports Reunion" during the 2012 WCU Homecoming Weekend on Oct. 5-6, 2012. Western Carolina will welcome home all the former athletes, coaches, trainers and team managers for this special Homecoming reunion. Activities start on Friday, Oct. 5, with the annual Homecoming parade, then following the parade, an All Sports Reunion social is scheduled for the Locust Room in the Council Fire Ballroom at Harrah's Cherokee Casino and Hotel in Cherokee, NC. On Saturday, Oct. 6th both the men's and women's basketball players from the past will play in an Alumni Game. Then, a pregame tailgate cookout will be held prior the Catamounts' Homecoming game against Georgia Southern. The evening concludes with Catamount volleyball beginning at 7:00 pm in the Ramsey Center. It's now 6 days until kickoff of Catamount football at Western Carolina's E.J. Whitmire Stadium. The Catamounts open the season on Thursday, August 30, 2012 against Mars Hill College. 2011 (Redshirt Sophomore): Saw action in four games, all as a reserve on defense and on special teams ... Three of the games he played in came on the road ... Finished with two tackles on the season coming in the road game against archrival Appalachian State, matching his individual game career-best. 2010 (Redshirt Freshman): Played in 10 of the 11 games as a reserve in the defensive secondary and on special teams ... Recorded six tackles on the year including one solo stop and one tackle for loss ... Posted a career-high two tackles against Samford ... Matched his career-best two tackles against Georgia Southern including his first career tackle for a loss of 13 yards. Prior to Western: Played one season for head coach Brian Conn at Baker HS ... Was named All News-Press, All-Area and first team All-Lee County Athletic Conference ... He was additionally selected to the third team All-State ... Finished his senior season with 34 total hits, including 33 solo tackles, six pass deflections and four interceptions ... Set a school record with three fumbles returned for touchdowns during his senior season, including a 74-yard return for the longest ever in program ... Is the first student-athlete in Baker HS history to sign a four-year athletic scholarship to a Division I school. Personal: Full name is Michael Lee Anderson ... Is the son of Michael Anderson, Sr., and Vanessa Alexander ... Has eight siblings. The seventh in a series of looks ahead at WCU 2012 football opponents. For game seven this season, the Catamounts travel to Charleston to meet the Citadel Bulldogs, where the Catamounts get their second look at the triple option this season. The Citadel enters their third season running their version of the triple option, with high hopes that this is the season they can become a factor in the SoCon race. The Bulldogs return a league-high 18 starters for the upcoming season, 9 on offense, 6 on defense and 3 on special teams. The nine starters returning on offense gives the Bulldogs renewed confidence in their offense and their ability to properly execute it. On offense, Darien Robinson (862 yards rushing, nine TDs) returns as one of the SoCons' better rushing backs, who may be the difference-maker for Higgins' offense. Junior Ben Dupree and sophomore Aaron Miller are battling for the starting quarterback job that will feature a new wrinkle for the Bulldogs this season. The Dogs plan to incorporate the shotgun into their offensive scheme, in the hopes of becoming a better passing team. Dupree was the starter last season, and probably will get the call this season. The main strength of the Citadel offense, lies in the offensive line, which is led by All-SoCon center Mike Sellers and three other returnees. On defense, the Bulldogs' always tough defensive unit took a big hit this spring when all-conference tackle Derek Douglas suffered a torn ACL, requiring surgery. The Bulldogs also lost three of their top five tacklers due to graduation. However, they return a veteran defensive line and three starters in the secondary that can be one of the strengths of the team. It's now 7 days until kickoff of Catamount football at Western Carolina's E.J. Whitmire Stadium. The Catamounts open the season on Thursday, August 30, 2012 against Mars Hill College. 2011 (Freshman): Played in 10 of WCU's 11 games, making seven starts as a true freshman ... Finished with 62 tackles to rank third on the team, recording three tackles for eight yards of losses ... Recorded double-digit tackles three times ... Had 35 solo stops, fourth on the team ... Recovered two fumbles including one against Elon and one at Samford, returning the takeaway 20 yards ... Made his collegiate debut in the second game of the year against Mars Hill, recording three total tackles including two solo stops ... Earned his first collegiate start against Furman, securing 11 total hits with four solo stops and a pass break-up ... Posted his career-best of eight solo stops at Appalachian State as a part of his career-high 13 total tackles ... Credited with six tackles in WCU's annual Spring Game. Prior to Western Carolina: Was a three-time all-league selection as both a quarterback and defensive back as a prep ... the two-way athlete rushed for nearly 2,000 yards and 37 touchdowns, caught 29 passes for 469 yards and six scores while also passing for over 3,000 yards and 21 scores at Bridgeport Central ... On defense at BCHS, was credited with over 230 tackles and 23 interceptions ... Became the first quarterback to win the MVP award at the Thanksgiving Day game ... In one season of post-graduate play at Avon, rushed for 1,159 yards and 20 touchdowns while also hauling in 22 passes for 600 yards and eight TDs - defensively, recorded nine interceptions ... Rated as a two-star athlete out of high school by Rivals.com ... Also played basketball as a prep, earning all-league honors in helping Bridgeport Central win the state championship his senior year ... Was originally recruited by Penn State out of high school. Personal: Full name is Christon Lamar Gill ... Is the son of Beverly Gill ... Has three siblings - Chakeya, Kelleray and Shynaya ... His brother played football at American International College in Springfield, Mass. It's now 8 days until kickoff of Catamount football at Western Carolina's E.J. Whitmire Stadium. The Catamounts open the season on Thursday, August 30, 2012 against Mars Hill College. Prior to Western Carolina: In three seasons on the varsity squad, hauled in 104 passes for 2,111 yards and 15 touchdowns at Greenwood High including 1,042 yards and 12 scores as a senior ... Was selected as a senior team captain ... Guided the squad to back-to-back state championship finals appearances, garnering All-Lakelands and all-region plaudits as a senior ... Was chosen to play in the North-South Shrine Bowl ... Helped the school record the most wins over a two-year period in school history (26-4) ... Also played basketball as a prep. Personal: Full name is Kenneth Spearman Robinson, but goes by Spearman ... Is the son of Ken and Barbara Robinson ... His uncle played football at Western Carolina. It's now 9 days until kickoff of Catamount football at Western Carolina's E.J. Whitmire Stadium. The Catamounts open the season on Thursday, August 30, 2012 against Mars Hill College. Notes: Enrolled at Western Carolina for the spring semester in January, 2012 and participated in 2012 spring drills with the Catamount football team ... In the annual spring game, rushed 13 times for 54 yards and a pair of scores while completing 17-of-27 for 207 yards with an interception and a touchdown ... Finished the day 11-of-12 in the second half of the scrimmage including connecting on six-straight passes with his lone miss coming on throw away. Prior to Western Carolina: Committed to and attended Marshall out of high school ... the dual-threat quarterback saw action in seven games as a true freshman in 2010 ... As Marshall's No. 2 QB, he completed 6-of-24 passes for 134 yards and one touchdown while rushing 12 times for 51 yards ... Contended for the starting quarterback job at Marshall during spring practice in 2010, posting a 10-for-20 showing for 160 yards and a TD in the 2011 spring game; At Boca Raton HS: Threw for nearly 2,700 yards and 24 touchdowns while rushing for five scores and 294 yards during his senior season ... Was a first-team all-area and all-conference selection ... Rated three stars by most recruiting services coming out of high school and one of the top quarterbacks coming out of the state of Florida ... Named his team's MVP in the Outback High School All-Star game ... Verbally committed to Wake Forest before signing with Marshall out of high school. Personal: Is the son of Terry and Ed Sullivan. It's now 10 days until kickoff of Catamount football at Western Carolina's E.J. Whitmire Stadium. The Catamounts open the season on Thursday, August 30, 2012 against Mars Hill College. Class: Freshman Hometown: Mobile, Ala. Prior to Western Carolina: Was a three-year starter who threw for over 2,400 yards and 30 touchdowns as a senior at Cypress Falls High in Houston, Texas ... Earned Texas 5-A All-District 17 honors following his senior season ... Dual-threat QB who tossed seven touchdown passes in a single-game against Elsik in bi-district playoff meeting in Nov. 2011 ... Earned the Marine Corps Elite Warrior of the Week honor following a 331-yard, six TD performance against Jersey Village ... Was named second team all-district as a junior. Personal: Full name is Troy Lavaughn Mitchell ... Is the son of Troy and Shanita Mitchell ... Has two siblings, Raybon and Zurie. The sixth in a series of looks ahead at WCU 2012 football opponents. The Catamounts will welcome the Georgia Southern Eagles to Cullowhee on the first weekend of October for two special events, other than the battle on the football field. Both Homecoming and The Catamount Legacy - All Sports Reunion will be held on the weekend that the Catamounts arguably get their sternest test up to this point of the season. Not selling Marshall short, but the Eagles are that good, especially against WCU. The Catamounts have lost 17 in a row against the triple option offense of the Georgia Southern Eagles. However, the Cats' two wins did come in Cullowhee, the Cats picked up a 14-7 win in 1941, and a 35-31 victory in 1994 both in Cullowhee. Led by preseason SoCon Defensive Player of the Year selection Brent Russell, the Eagles were voted atop the Southern Conference preseason coaches football poll. Joining Russell on the preseason All-Conference Team (first team) are offensive lineman Dorian Byrd and safety Deion Stanley. The Eagles also had three second team selections, offensive lineman Blake DeBartola, linebacker Darius Eubanks and return specialist Darreion Robinson. On offense, the Southern Conference defending champion Eagles must replace quarterback Jaybo Shaw, who was an integral part of the Eagles' triple-option attack that averaged almost 34 points a game. Ezayi Youyoute (5-11, 188, So.) or Jerick Mckinnon (5-9, 208, Jr.) is expected to battle for the starting quarterback job, but probably Youyoute will get the nod. The Eagles return eight starters on offense, with a veteran running back corps and offensive line. On defense, seven starters return for the Eagles, led by defensive tackle Brent Russell, safety Deion Stanley, and linebacker Darius Eubanks. Georgia Southern is able to fill any graduation holes with experienced replacements. This will be a difficult outing for the Catamounts, keeping the game close would be major improvement over the recent past. It's now 11 days until kickoff of Catamount football at Western Carolina's E.J. Whitmire Stadium. The Catamounts open the season on Thursday, August 30, 2012 against Mars Hill College. 2011 (Freshman): Redshirted ... Named the offensive scout team player of the week following the Furman game ... Completed his lone pass of WCU's annual Spring Game for a 33-yard touchdown to Garrett Brown ... Rushed four times for 17 yards in the scrimmage. Prior to Western Carolina: Attended North Carolina Tech after graduating from Nottingham HS in Syracuse, N.Y., in June of 2010 ... Tabbed first team offense on the New York Section 3 National Division Class A football team as a junior at Nottingham HS ... Threw for more than 3,000 yards during his career with the Bulldogs ... Rated a three-star quarterback coming out of high school class 2010 by Rivals.com ... Preseason top 10 in New York State by rivals.com while also ranked as one of the Top 125 QBs in the nation by Scout.com ... Played in the Upstate-Downstate All-Star game in New York at the Carrier Dome during the summer of 2010 ... Listed in the 2010 preseason issue of Super Prep Magazineþ ... Guided NC Tech to a 9-1 record a season ago ... Also played basketball at Nottingham HS. Personal: Is the son of Bill and Helen Simmons. "It didn't start here today or with this camp; this started with our off-season weights and the 5:00 am running. But, overall, I think it's been a productive preseason," said Head Coach Mark Speir. "Our whole deal was to change the mindset, change the culture. And I think our staff has done a great job of setting the foundation. What that'll relay in wins and losses, I have no idea. But what I do know is I am as proud as I can be of these young men. They've been through a brutal preseason. I told the guys to be proud of themselves." "I've been a part of a lot of championship teams and a lot of good football teams, and this has been a tougher preseason by design. They stepped up to the challenge. I think we've got a great foundation; (the game on) August 30 is just the beginning of the transformation of this football program". "I thought we came out today with a lot of intensity and I felt like both sides did some really nice things. They were both upbeat; the offense had a good tempo and the defense was flying around. There were a lot of really good licks hit today," said Coach Speir following the scrimmage..... "we've still got the overriding theme of penalties. We've got to get those cleaned up and once we do, I think we've got the chance to be a really solid football team." It's now 12 days until kickoff of Catamount football at Western Carolina's E.J. Whitmire Stadium. The Catamounts open the season on Thursday, August 30, 2012 against Mars Hill College. Prior to Western Carolina: A three-year starter, became the 27th different quarterback in state history to eclipse the 6,000-yard passing mark in his prep career, finishing with over 7,557 yards and 97 career TD passes ... Broke Cleveland County's career record for passing yards ... Guided Burns High to back-to-back South Mountain Athletic Conference (SMAC) championships en route to the 3-A West region championship game ... Amassed 2,225 yards and 24 touchdowns as a senior, adding 682 rushing yards and 13 TDs on the ground ... Selected to the second team offense of the All-Region team by the Charlotte Observer ... Played in the North-South Shrine Bowl ... Earned PrepInsiders.com Player of the Week in mid-September of his senior year after throwing for 163 yards in a win over Q Foundation which put him over 6,000 yards passing for his career ... As a junior, threw for 2,827 yard and 39 touchdowns, slightly better than his 2,638 yards and 34 touchdowns as a sophomore earning SMAC Offensive Player of the Year plaudits ... Also played basketball as a prep ... Was joined by Burns High teammate Darius Ramsey in signing with WCU in 2012. Personal: Full name is Brandon G. Littlejohn ... Is the son of Cynthia Littlejohn. It's now 13 days until kickoff of Catamount football at Western Carolina's E.J. Whitmire Stadium. The Catamounts open the season on Thursday, August 30, 2012 against Mars Hill College. Prior to Western Carolina: Played quarterback at his high school in Nebraska, moving to North Carolina prior to his junior season ... Saw most of his action at running back as well as safety or linebacker on defense during his junior season before earning the starting quarterback job as a senior ... Rushed for over 1,300 yards and 18 touchdowns while throwing for over 1,400 yards and 12 TDs through the air as a senor ... Earned Southwestern 4-AA All-Conference accolades .. Was named 4-A Southwestern Conference by MaxPreps.com as a specialist his final season. Personal: Full name is Jonah Christopher Duggan ... Is the son of Chris and Krista Duggan ... Has four younger sisters; Lily, Ella, Sylvia and Mya ... His father, Chris, attended the United States Air Force Academy where he played linebacker. The Mars Hill football team is ranked 18th in the USA College Football NCAA Division II Preseason Poll, which was released Monday. Defensive lineman Troy Harris was named to the organization’s preseason All-American second team. Mars Hill is coming off the best season in program history, in which they won eight games and earned their first-ever bid to the NCAA Division II Football Championship. Harris is coming off a campaign in which the rising junior recorded nine sacks. This is the second preseason All-American selection for Harris, who was also recognized by Beyond Sports Network (BSN). Mars Hill opens the season on Aug. 30 at Western Carolina. The August 14th edition of Cat Chat on Big Wise radio (ESPN 1310), with Catamount Head Football Coach Mark Speir. It's now 14 days until kickoff of Catamount football at Western Carolina's E.J. Whitmire Stadium. The Catamounts open the season on Thursday, August 30, 2012 against Mars Hill College. 2011 (Freshman): Originally signed with Western Carolina in the 2010 incoming class but did not qualify, sitting out his freshman season. Prior to Western Carolina: As a two-way player, amassed over 1,400 yards receiving with 16 touchdowns on offense and recorded 142 career tackles in two varsity seasons at Therrell HS ... Set a city record with nine interceptions his senior season, finishing with 16 career INTs ... Tabbed All-Area by the Atlanta-Journal Constitution (AJC) ... Named Defensive Player of the Year as a junior... Also rushed 17 times for 200 yards and a pair of scores along with completing four passes for 30 yards and a score ... Earned first team All-State as a wide receiver during his final prep season. Personal: Full name is Karnorris Bernard Benson... Is the son of Lula Kemp. Q: I heard a rumor from a North Dakota State fan that WCU would be traveling to Fargo for a game in 2013. Given your previous statements about possible games with Southland members, I am guessing NDSU is footing the bill, correct? A: We are in fact currently scheduled to play North Dakota State in 2013. The contract was already in place when I was hired, so as of now we will be honoring that agreement. Although I typically will not publically discuss game contracts, I will share with you that this trip should cost us little more than a normal in-conference road trip. However, I will also say that it is not a home and home agreement and one I would have never agreed to in the first place. Q: I think FCS teams are allowed to play 12 games in 2013. Will Western play 12, and if so, who would be our non-conference opponents? A: Well, the previous question already told you that North Dakota State is one. We are also contracted with an ACC opponent and I am still working on another possible contest. In addition to 2013, FCS teams will be allowed to play 12 games in 2014 and 2019 as well. 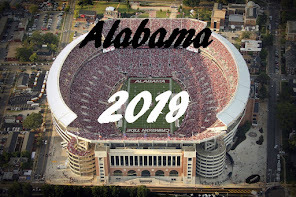 Q: I have heard the band is traveling to the Alabama game. Is this true, if so I think it is awesome! What are the chances of the band traveling to more of the away games? A: I too have heard the rumors of the band traveling to Alabama, but to the best of my knowledge that is NOT true. As far as that game and others, I too would love to have the band in the stands to help support our team. However, until such time that I and my staff can increase revenues to the point of being able to adequately fund our teams, I will not be in a position to assist the band in covering travel costs associated with away games. Laura Tieszen Kamarainen captured 13 All-Southern Conference accolades during her outstanding four-year Western Carolina track & field career between the pole vault, javelin and the pentathlon/heptathlon events. She was a six-time SoCon champion in the women's pole vault including three individual crowns split equally between both the indoor and outdoor seasons, while also claiming individual championships in the outdoor heptathlon and the indoor pentathlon in 2005. Tieszen, who continues to hold both the league and school pole vault record of four meters (13'1.48") set in the 2004 SoCon outdoor championship, was a three-time SoCon Most Valuable Field Performer, earning the recognition in both the 2004 indoor and outdoor championships and again in the `05 outdoor championships. Also during the 2004 outdoor championship event, Tieszen collected a runner-up finish in the 2004 javelin throw en route to being named field MVP at the meet. She was also tabbed as WCU's Female Student-Athlete of the Year at the year-ending awards banquet in '04. A native of Rapid City, South Dakota, Tieszen also dominated the SoCon's indoor pole vault competition from 2003-05, winning the event three consecutive seasons. She additionally competed in the pole vault at the junior national level as a true freshman in 2002. Also, Tieszen held WCU's record in the indoor pentathlon from 2004 until 2010, collecting 3,102 points. Combined, Tieszen was a three-time SoCon Athlete of the Week selection between both the indoor and outdoor seasons, while also garnering numerous Student-Athlete of the Week honors recognizing both performance athletically and in the classroom. She was also tabbed the league's track & field athlete of the month in February of 2005. It's now 15 days until kickoff of Catamount football at Western Carolina's E.J. Whitmire Stadium. The Catamounts open the season on Thursday, August 30, 2012 against Mars Hill College. Notes: Enrolled at Western Carolina for the spring semester in January, 2012 and participated in 2012 spring drills with the Catamount football team ... In the annual spring game, completed all three pass attempts for 13 yards while rushing for 27 on the ground. Prior to Western Carolina: Two-time Burke County Player of the Year and a three-time All-South Mountain Athletic Conference selection ... Garnered the league's offensive player of the year plaudits as a junior after throwing for a school-record 2,652 yards and 30 touchdowns, adding 361 rushing yards and eight rushing TDs ... For his three-year varsity career, threw for 6,227 yards and 77 touchdowns, adding 1,008 yards rushing and 20 scores on the ground ... Set and matched a school-record with 30 passing touchdowns as both a junior and senior, collecting five passing touchdowns in four different games ... Selected to play in the North-South Shrine Bowl ... Also ran track and played golf as a prep. Personal: Is the son of Mike Sr. and Barbara Helms ... His father, Mike, is a former football standout at Lenior-Rhyne and the head football coach at Freedom High while his mother played collegiate basketball at Wake Forest and currently coaches girls basketball at Hickory High ... Has a younger brother, Brandon. Bill Stanley enjoyed a solid four-year career as both an offensive and defensive lineman for the Catamount football team under head coach Dan Robinson. Stanley was a part of three-consecutive, non-losing teams at WCU from 1964-66. Playing for WCU in the old Carolinas Intercollegiate Athletic Conference (CIAC aka Carolinas Conference, member from 1933-1976) - Stanley became the first - and only - Catamount to win the Kirkland Blocking Trophy in 1967. The post-season accolades continued in '67 as Stanley was named to the NAIA District 26 squad and tabbed All-NAIA along the offensive front. He was additionally tabbed All-Carolinas Conference as a defensive tackle becoming the last Catamount to earn honors on offense and defense in the same season. Stanley went on to a career in education including a 27-year career at Halifax Community College (HCC) in Weldon, N.C. He began as the evening director in 1973, quickly progressing to serve as the college's Associate Dean of Evening Programs, the Dean of Continuing Education and the Vice President of the College in 1989. In 1999, Stanley was honored as the "Administrator of the Year" on-campus. Under his direction, notable accomplishments of HCC include the establishment of the HCC Small Business Center and industrial training programs. He established firefighter training programs and provided the campus leadership in the statewide restructuring and reengineering process, mandated by the North Carolina Community College System. One of his most recognized accomplishments was the organization and successful implementation of the HCC Pulp & Paper Technology Program - the only one of its kind in the state community college system. An avid golfer, Stanley set a course record of 63 at Carolina Shores Golf and Country Club. Stanley remains very active within the Catamount Club, having served on the Board of Directors numerous years as well as serving on various Catamount Club and athletic department committees. It's now 16 days until kickoff of Catamount football at Western Carolina's E.J. Whitmire Stadium. The Catamounts open the season on Thursday, August 30, 2012 against Mars Hill College. 2009 (Freshman): Red-shirted. Prior to Western: Played one season for head coach Brian Conn at Baker HS ... Was named All News-Press, All-Area and first team All-Lee County Athletic Conference ... He was additionally selected to the third team All-State ... Finished his senior season with 34 total hits, including 33 solo tackles, six pass deflections and four interceptions ... Set a school record with three fumbles returned for touchdowns during his senior season, including a 74-yard return for the longest ever in program ... Is the first student-athlete in Baker HS history to sign a four-year athletic scholarship to a Division I school. 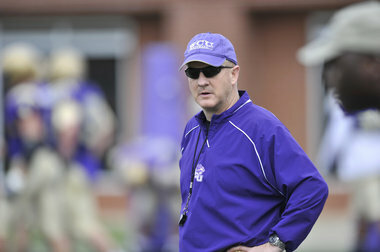 Cullowhee, NC - Head Football Coach Mark Speir's comments after Saturday's scrimmage. "I liked the intensity; we got 140 plays in today and that is a big day," said first-year head coach Mark Speir. "I thought we were in great shape. I didn't see a lot of fatigue and that is important. Coach (Jeff) Pitman and his staff have done a very good job with conditioning and we are pretty good as far as our physical condition. "Offensively, I thought we did some great things, but we just killed ourselves with penalties and mistakes. On defense, I thought we flew around today. I thought we hit people; we didn't give up many big plays and that is always a really big goal for us. Kicking was really good; our field goal kickers went out and did a really nice job, didn't miss an attempt. I'm really proud of those guys." "Overall, I think we're on track. We've just got to clean it up. I keep beating a dead horse, but it's all about consistency, consistency, consistency. With that, we have a chance to be a very good football team," added Speir. The fifth in a series of looks ahead at WCU 2012 football opponents. Site: Paladin Stadium (16,000 - Bermuda grass), Greenville, S.C. The Catamounts travel to Greenville, SC to meet the Furman Paladins on Saturday, September 29th for the Cats third conference game and fifth game overall this season. Furman enters the contest on a six game win streak over the Catamounts, and the Paladians hold a 14-5-1 record over the Cats in games played in Greenville. In Bruce Fowler's first season with the Paladins, they finished with a 6-5 overall record and 5-3 in conference, which was enough for a third-place finish in the Southern Conference. Fowler lead the Palidans to a pair of big wins over top-five opponents, beating No. 4 Wofford by a 26-21 score and No. 3 Appalachian State by a 20-10 final score. Fifteen starters return to for the 2012 campaign, six on offense, and eight on the defensive side of the ball. However, the Paladins lost three of their best players, with first-team All-Southern Conference quarterback Chris Forcier, and first-team All-America cornerback Ryan Steed and first team All-SoCon linebacker Kadarron Anderson not on this year's roster. On offense, replacing quarterback Chris Forcier is the Paladian's highest priority. Dakota Derrick and Travis Eman competed for the job in the spring, with Derrick emerging from spring drills as the probable starter for the Paladins, but Eman, a redshirt freshman, does not seem to be far behind. On the ground, Furman should have one of the better ground options in the SoCon with senior running back Jerodis Williams (199 rush att, 1,055 yds, 9 TDs, 5.3 YPC) and sophomore Hank McCloud (58 att, 241 yds, 1 TD) in the backfield. On defense, the Paladins lost two top defensive players in cornerback Ryan Steed and linebacker Kadarron Anderson. However, eight starters do return. Furman has three of four defensive tackles that logged a majority of the action returning for the 2012 season. The Paladins have stockpiled linebacker talent in each of the past couple of recruiting classes, and the secondary should once again be strong, returning three of four starters for 2012. Playing in Greenville is always tough for the Cats, and 2012 will be no exception. It's now 17 days until kickoff of Catamount football at Western Carolina's E.J. Whitmire Stadium. The Catamounts open the season on Thursday, August 30, 2012 against Mars Hill College. 2011 (Redshirt Junior): Played in all 11 games, making 10 starts as a wide receiver ... Finished second on the team with 29 catches and fourth with 345 receiving yards, averaging 31.4 yards per game ... Scored three receiving touchdowns ... Made his first reception at WCU in the season-opener at Georgia Tech ... Named the team's offensive player of the week at Chattanooga, catching six passes for 60 yards including a long of 23 yards ... Posted a team-high 74 yards through the air on just four catches including a career-long of 29 yards at Samford ... Hauled in a career-best seven passes for 61 yards against nationally-ranked Wofford ... Recorded his career-high in receiving yards with 86 on four catches against Appalachian State ... Rushed three times as a wideout. 2010 (Junior): Sat out due to transfer rules ... Was named the squad's offensive scout team player of the week prior to the Elon game ... Caught a touchdown during goal line work in the short scrimmage segment of the team's final spring practice. High School: Played at South View HS in Hope Mills, N.C.